Bedding is an important and great place for your girl to have lots of fun and have a good rest after a long busy day. 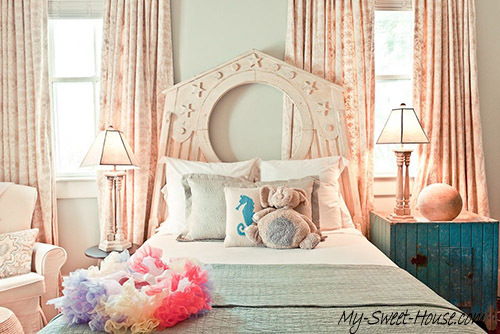 Today’s baby girl room décor are such different as each girl’s personality with her style, incentives and colors. 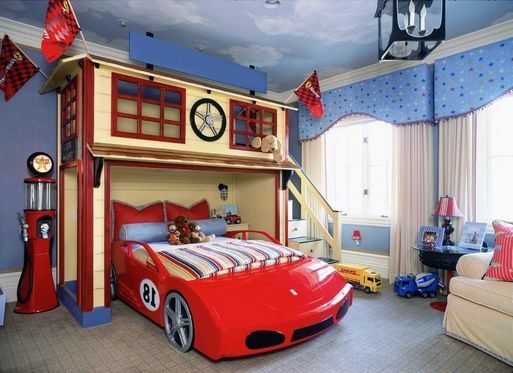 To make kids room for girls unique and creative you don’t need to be afraid to mix and match different things and colors. 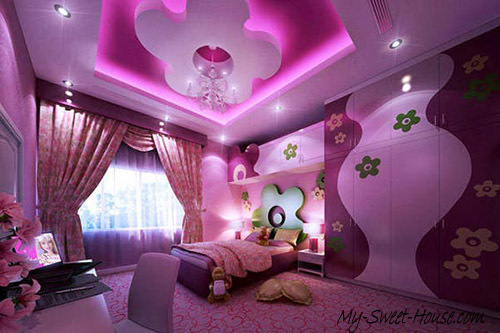 If you want to use just one color it won’t get wrong for girls bedroom. Actually neutral palette will sooth a space with the usage of a few pops of rich color what highlights your design. But if you are going to combine various shades and colors you should pay more attention to bright colors like pink, yellow, blue that will add the room a touch of elegance and delicacy. 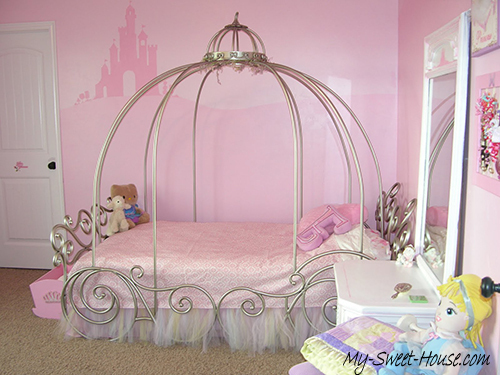 Adding an inspiration to your girl room décor you can put there lots dolls, animals, flowers and other girlish stuff. 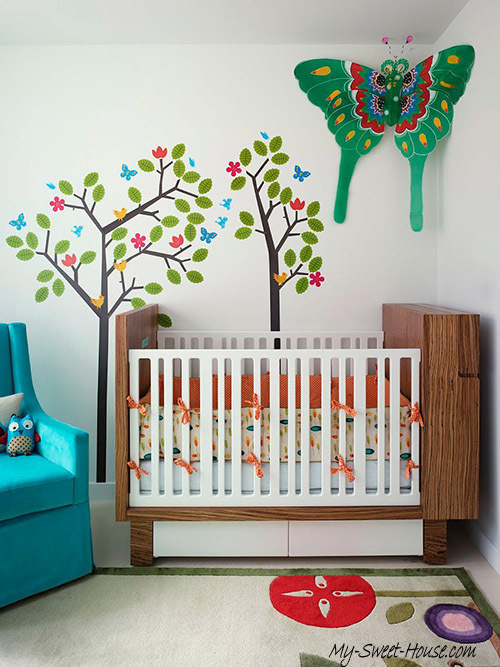 Textured bedding, soft colors, bright pillows and imaginative accents will create a room playful and comfortable to hang out with your baby and just have a good time there. Modern white desk and bedside tables are just what your gild needs to make the transition to pre-teen or teen years. 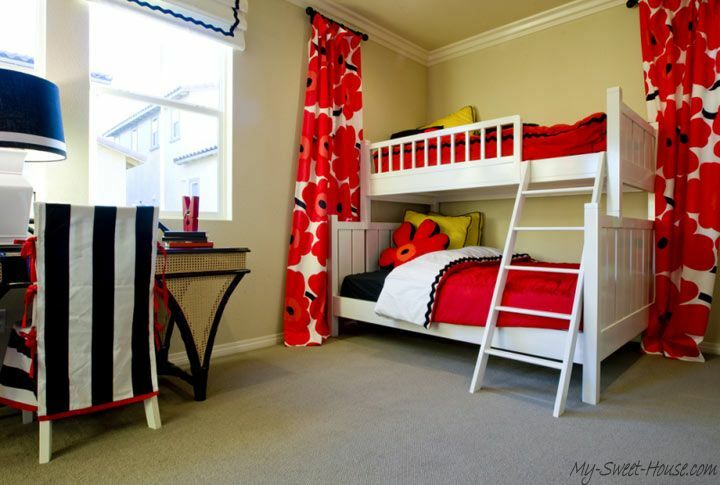 What is make girls room mature is the combination of grey walls and mature furniture and furnishings where your girl can spend lots of time with friends for years. A combination of rainbow bright hues will emphasize the overall room from pillows to walls. 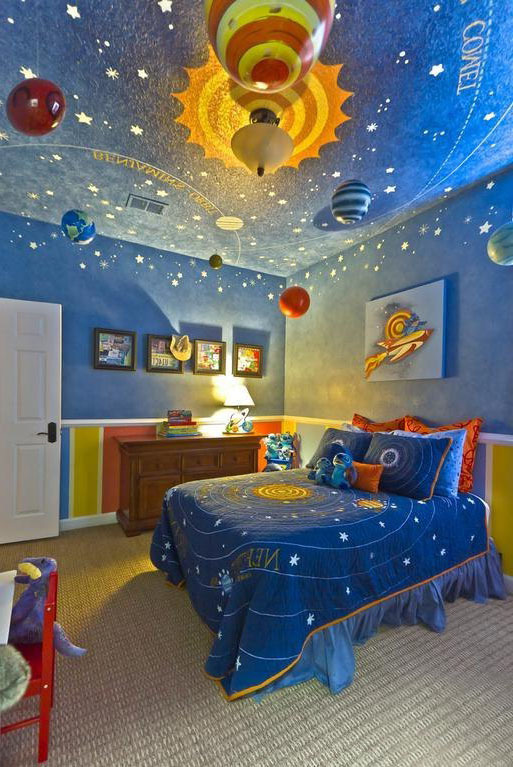 With floral prints and its shades of orange the girl’s room ideas can seem quite graphic and modern and will show your girl appeal. 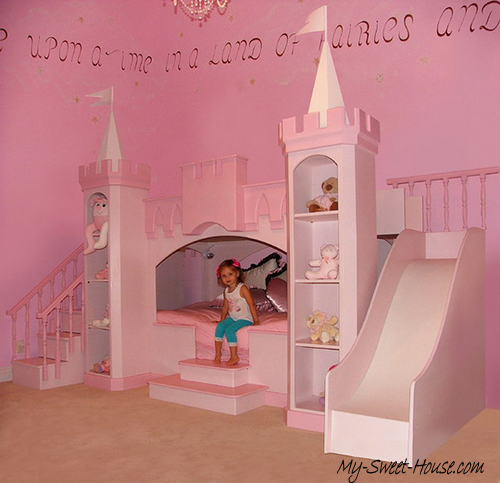 For a baby girl room you can use themed design with Barbie, trees on the walls, fairy tale features, little kitty and other characters that will create a comfortable atmosphere of magic and wonders. 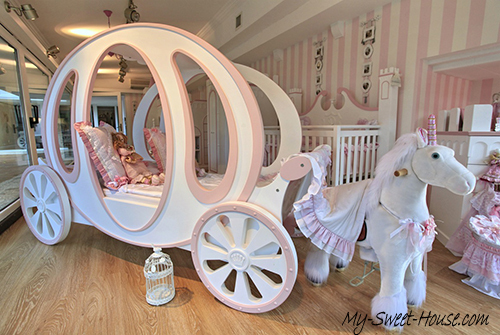 With a mixture of purple and pinks colors are the most favorite colors for little girls. 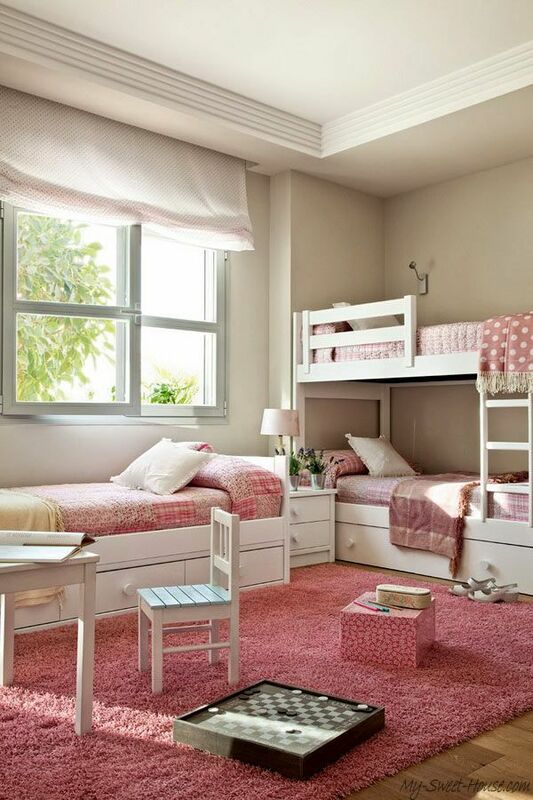 White furniture and pink floral walls will keep the room’s look glamour, light and feminine. Especially if you add a touch of lilac hues and delicate sparkling chandelier it will give a gentle look and lots of sunshine. 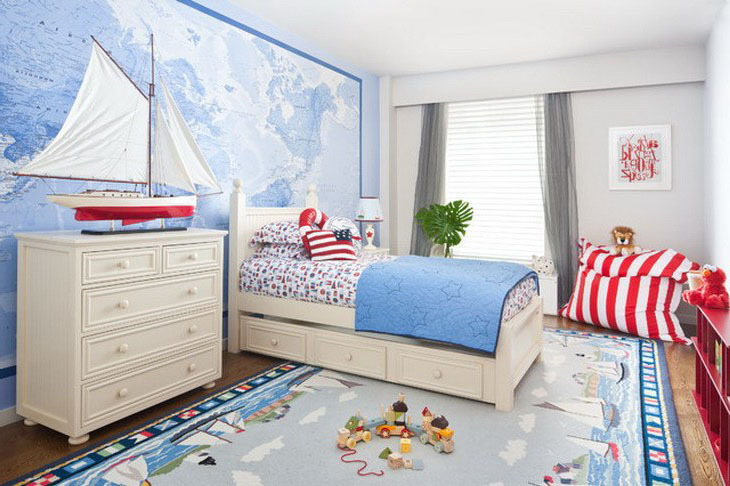 If your kids love summer and beach, you can use ocean and water accents. 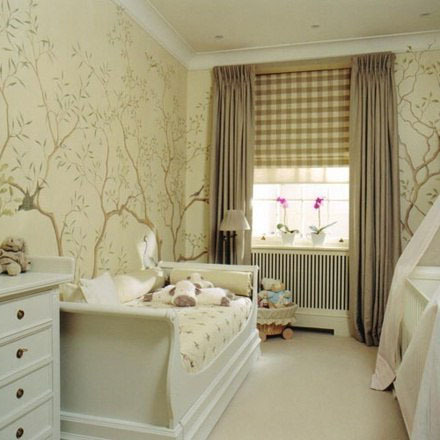 It will be well-blended with calm color palette and natural motifs for bedroom design for girls. 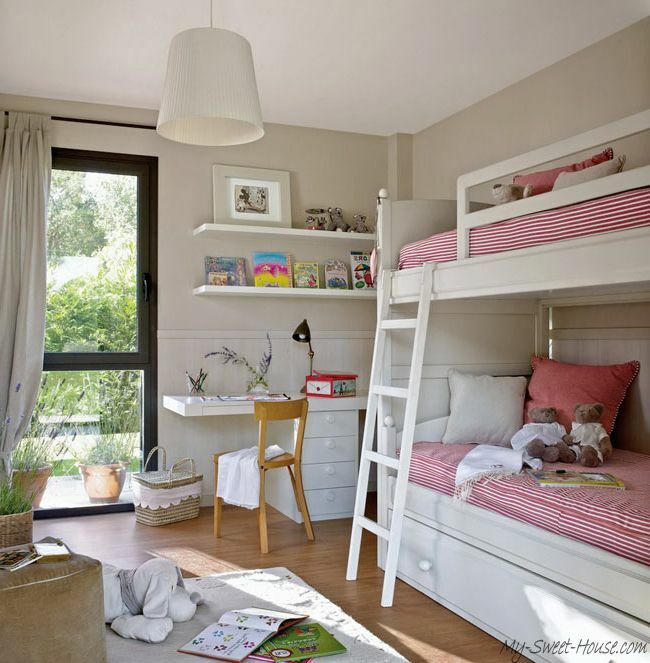 A ship ladder on the wall, hanging bubble chair and secret hideout are great girls bedroom ideas that will look like a modern loft bedroom with favorite pictures, closets and a small window. To add a touch of nature and fresh air you can implement green, white and blue shades, leafy prints on pillows and walls and a large window that will shine the overall room. 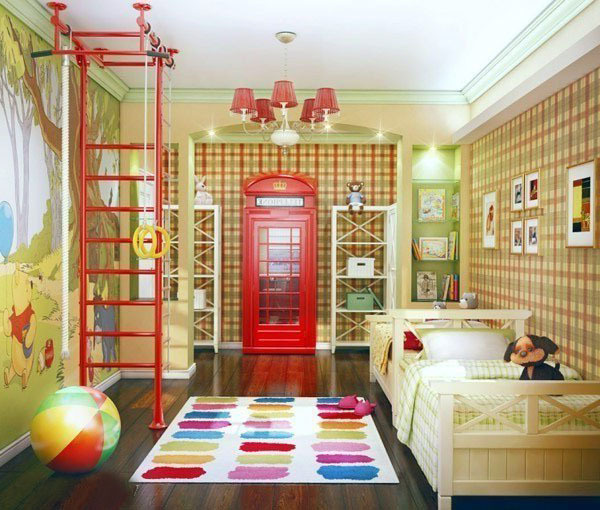 We have gathered a great collection of kids room decor for girls that will help you to choose the perfect girlish interior. 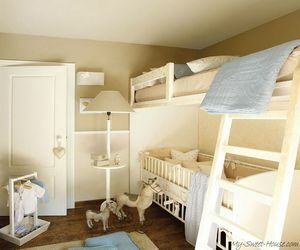 Bunk beds for kids are very popular in families where thereare two or more children. They are especially relevant for a small residential space. Additionally, this purchase iscan save money comparing to buying two separate beds. Compactness of products allows us to solve the problem of small room space. 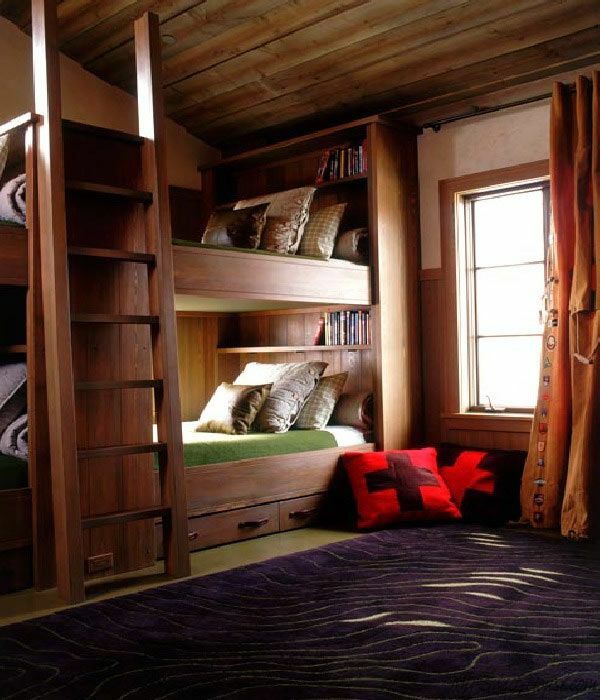 Most of them are equipped with drawers that can be used to keeping bedding or any other things. 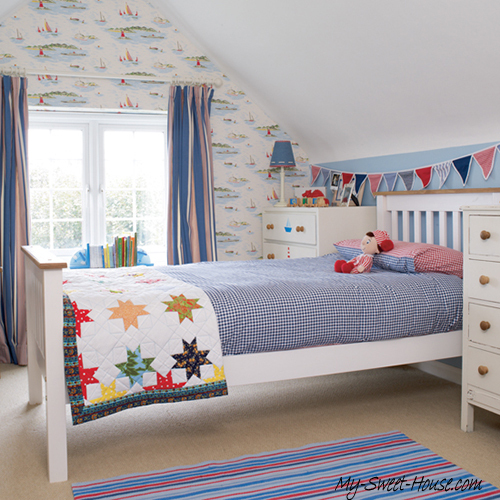 Almost all certified beds – totally safe, easy to use, have an attractive look and original design. We should focus on choosing the materials of construction for such beds. It is desirable that manufacturers used environmentally friendly materials, such as wood. If the finished product is covered with varnish or paint, then the it is necessary to pay attention to the fact that they had a certificate confirming compliance with environmental and health standards. 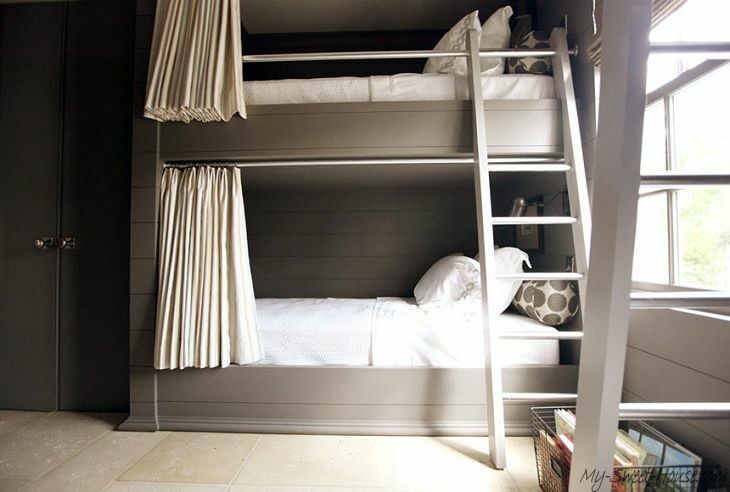 Large selection of bunk cots provided by various manufacturers in the furniture market, allows you to choose a product that is ideal for interior design. 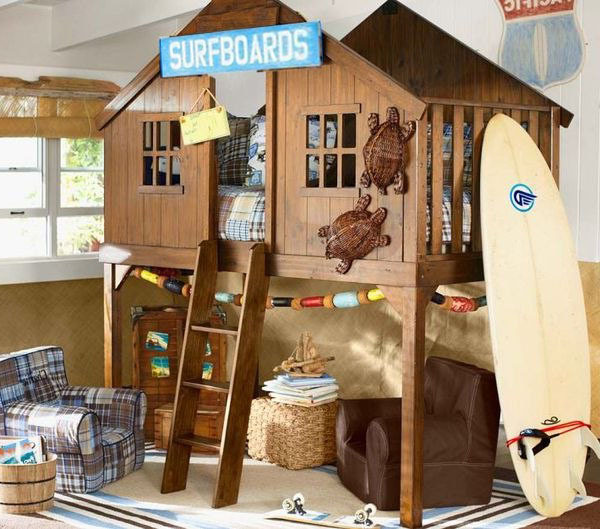 A variety of models ranging from classic to trendy, wide palette of colors and designs that will satisfy the needs not only parents, but also children. 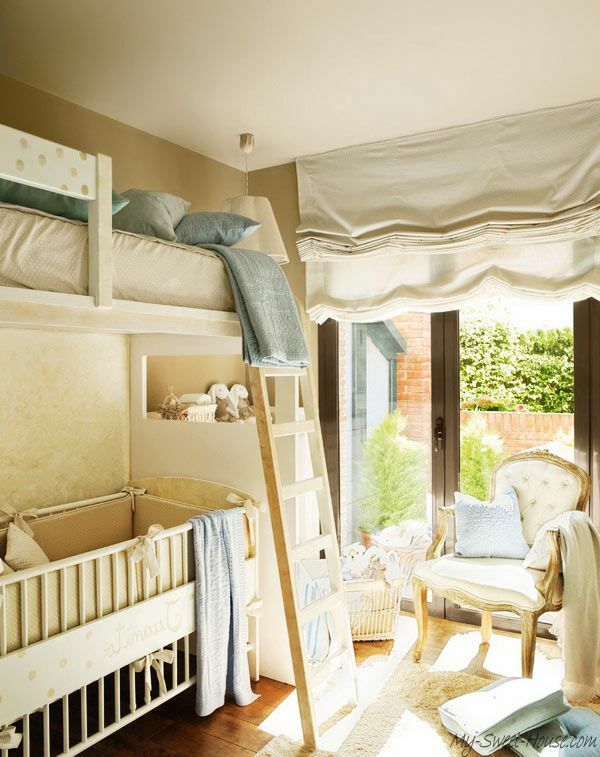 Children love to play on the second floor, so it is important that the bed was as safe as it concerns protecting ledges and stairs .